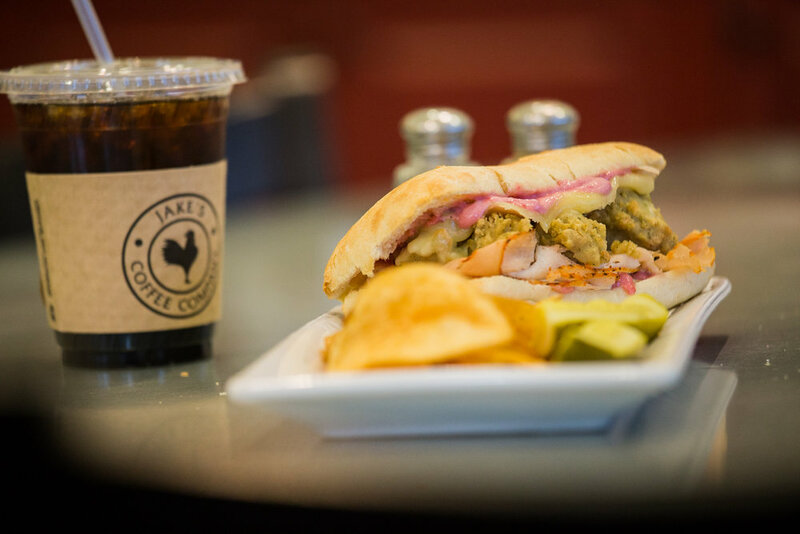 Whether you need cold cuts, sandwiches, salads or a prepared meal Jake’s is your one-stop-shop. We offer a variety of Boar’s Head deli meats and cheeses, sandwiches, salads and meals for your easiest convenience. Juicy chickens smothered in our famous rub and cooked to perfection. Hurry in because they go fast! Or call ahead to reserve yours. We make a large variety of grab & go sandwiches and salads including seasonal options to mix up your taste buds. Burgers, hot dogs, chicken sandwiches and fried sides made fresh daily. Prepared meals served both hot and cold.